Apple’s decision to ditch the iPhone 5s design in favor of something a little more rounded for the iPhone 6 and iPhone 6 Plus was greeted with equal applause and skepticism. We were fans of the clean edges that had the iPhone 5 and iPhone 5s look like stealth phones from something like Knight Rider, but the new aesthetic does have something about it that feels hyper modern. We like both, but some people will always swear by the outgoing design. Which is a bummer if you need a new phone. Luckily enough, where there’s a will there’s a way or should we say that there’s a case. With everyone seemingly deciding that they need to use cases with their iPhones these days there’s no shortage of offerings to choose from if you’re carrying a naked iPhone 6 or iPhone 6 Plus and need to choose a case. The $14 Elago S6 Outfit Aluminum and Polycarbonate Dual Case is one such case, and while it has one of the longest product names in the business, its real party piece is in the way it looks. See, once your fancy new iPhone is encased in one of these bad boys it will look more iPhone 5 / 5s than iPhone 6, and that’s going to go down very well with the purists. Gone are the rounded edges that people complain make their iPhones too easy to drop and gone are those antenna lines too. 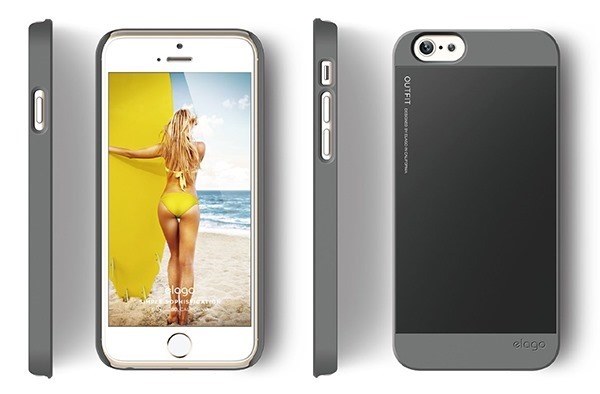 If you really do need your iPhone case to make it look like you’re carrying yesterday’s model rather than today’s then this is the case for you. The chances are you’ll find the right one for you too, because beyond offering both iPhone 6 and iPhone 6 Plus options, Elago also makes the thing in ten different colors. We’re sure you won’t struggle finding one that matches your mood. Protecting your new iPhone is only natural, and if you decide to do that with a case then that’s a sensible option indeed. 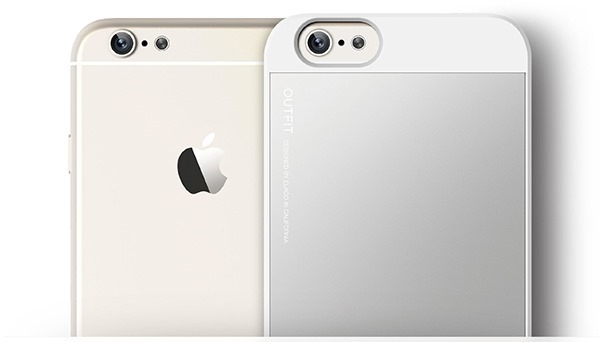 We’re not sure we’d want to make our iPhone 6 look like an iPhone 5 / 5s, but that’s just us. We loved our iPhone 5 and iPhone 5s, don’t get us wrong, but we think we might just love our new phones a little bit more. Yes we know, we’re fickle souls. You can buy the case directly from Amazon’s online store. Hey, where did you get that from? Please send me the link, I really appreciate it! Wait.. What is she doing in the case ? Sexism ? Ridiculous! Please send us the link for that case you have. Thank you. 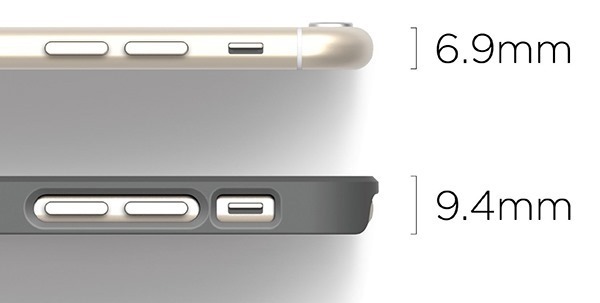 It doesn’t look like iPhone 6 plus to me. Why ? I have an iPhone 6 plus and its big than my hand. It does look like iPhone 6 4.7″ instead. Anyway, I like this sleek looking. Where can I buy any colors like this one ? Please share with us. Omg I would love that but in black and red instead of white! Still wondering where you got that, link?? ?